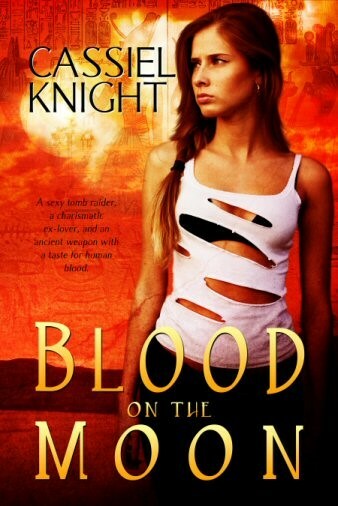 So after reading her novel Key of Solomon and absolutely loving it I wanted to pick her brain so we decided to do an interview with Cassiel Knight! While your at it I would recommend checking out some of her other novels on her amazon page! She was more than happy to help answer some questions for us so please give her a warm welcome! For the longest time, I thought I wanted to be an oceanographer. I’ve always loved the ocean since very young. However, interestingly enough, I’ve always been a writer and have enjoyed writing and reading. 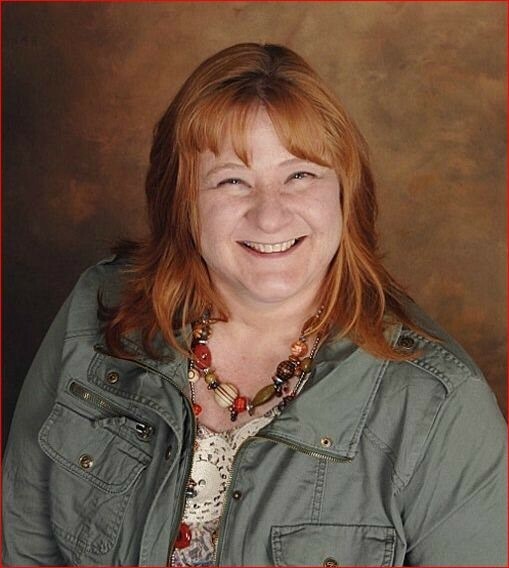 I loved English composition and writing essays and was involved in Journalism in High School. But none of that really pushed the idea of writer into my head. Until AOL and I joined a romance writers group. From then on, being an author is what I wanted to be. I just can’t remember anything specific. But I guess if I have to pick a date, it would be when my first book was published with a digital publisher back in 2007. Being published by them just felt MORE real. Very silly since being published doesn’t make one a writer but that’s how I felt. LOL, waaayyy too long. Seriously way too long. But then, that was for a reason. I wasn’t ready. I had more craft to learn, more of the business and really to learn and trust my voice. You know, to have faith in what I wrote and in myself. Yes, I have a day job that pays the way for me to attend conferences and do all the fun writing stuff I like to do. I’m a records manager at a sewer utility department for the county. Been with them for six years. I’m the sole person that does what I do and I get to work with lots of paper and documents. I love what I’m doing and love the people I’m working with. While there are days I wish I didn’t have to work, I’m content and as I said, it gives me the money to do things I enjoy. 6. As a self-pulisher, do you have any plans to submit to a publish company? It is my understanding some authors prefer to stay as a self publish author because of flexibility. Sigh. Much longer than it should. I have writer’s block all the time – usually of my own making and a fall-out from being a pantser. I just keep pushing and pushing and writing and writing until stuff comes out. And if you’ve ever heard, “The more you write, the easier it is”?, it’s true, so true. I try to write something every day related to storytelling. If I don’t, if there is too many days between writing, it’s like starting all over again. That’s where writing block (for me) comes from. I love Egyptian mythology and archeology so I’m working on book 2 of Mia and Harrison, the Lost Children of Egypt series. Plus, I want to finish my series with Samhain and am working on Kat and Ash’s story that follows The Death Skull. Another book I’m hoping to actually self-publish (maybe) is a science fiction romance. Plus, I have another science fiction romance that is more than 2/3 done. Basically, I expect to stay in the paranormal genre but what I’d really love to do is write a horror romance. I love creepy. Not really. Mostly sitting on my reclining chair with one of my Shih Tzus curled up on my left and the other curled up on the reclining part. Because I don’t want to disturb them, they often keep me locked there for a couple of hours. J And with that, I like to have, go figure, spooky movies going in the background so I’m usually on the sci-fi channel. Something about that background keeps me going. Well, it’s kind of at the same time. Because I write quest books, I usually need to know what they are going after. 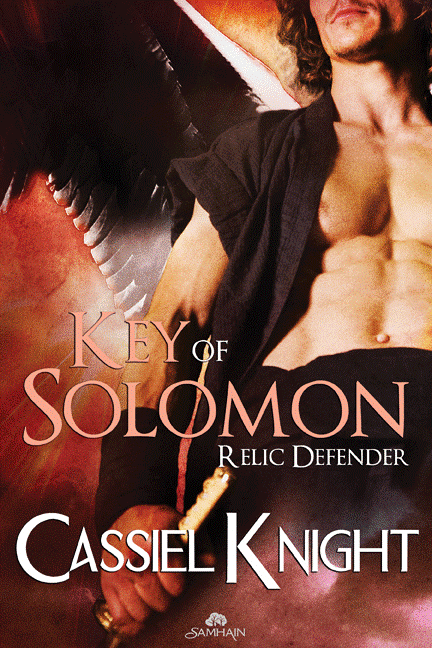 So, Key of Solomon is the title of the book the story is about—the item my heroine and hero need to find. Blood on the Moon I took from, believe it or not, the bibliography of a book on vampires I was researching for another story. It works perfect given the nature of the story. It does take me a while to settle on a title–like it often does for me to settle on character names. I’m supposed to have one of those? J Really, I write for entertainment but I do tend to have a similar message in both stories. It’s that giving up control doesn’t make someone weak – it can add more strength then one things possible. Also, faith in friends and a higher authority (this is NOT an inspirational book but all mine tend to have a faith element). Food. Oh, that’s not a specific food? <grin> I just love to eat. But my favorite, I guess, is steak. 15. Your favorite Author is? ? I really have two – Jim Butcher but for his Harry Dresden series only. I tried to read his fantasy series but after Dresden, well, I can’t read him as anything else. I just love the world he created for Harry, and I’m in awe of his imagination. My second favorite is Stephen King. Seriously. He’s so wickedly scary and such a genius at creating terror on the page. I’ve read his On Writing book a number of times. It’s quite inspirational.